So here is another review… Is it too soon? I know you all aren’t use to me blogging one review after another! What is the world coming too?! Well, enough of the nonsense… On to the review! 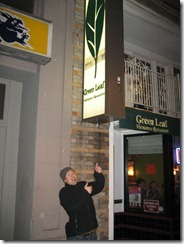 Today I will be reviewing Green Leaf Restaurant in Seattle’s International District. Located on 8th near Jackson, this little Vietnamese restaurant is a gem. 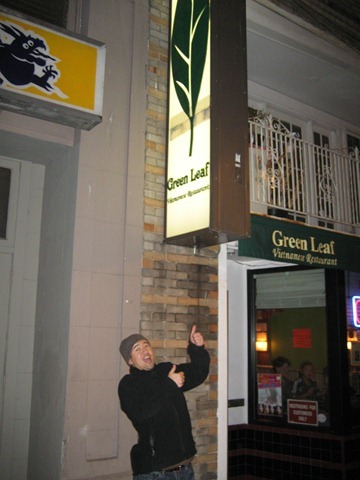 I’ve been here once before a long time ago with my friend Woo but last Sunday, I ended up at the restaurant with my boyfriend Trevor and our friend Kevin (who was super excited to go there… I think it’s his form of crack… really… look at this picture… he’s really super excited! ).